"Climb up on the Moon? Of course we did. All you had to do was row out to it in a boat and, when you were underneath, prop a ladder against her and scramble up," Qfwfq, the narrator of Italian author Italo Calvino's short story The Distance of the Moon, says. This story provides the basis for Sackerson's newest original play. 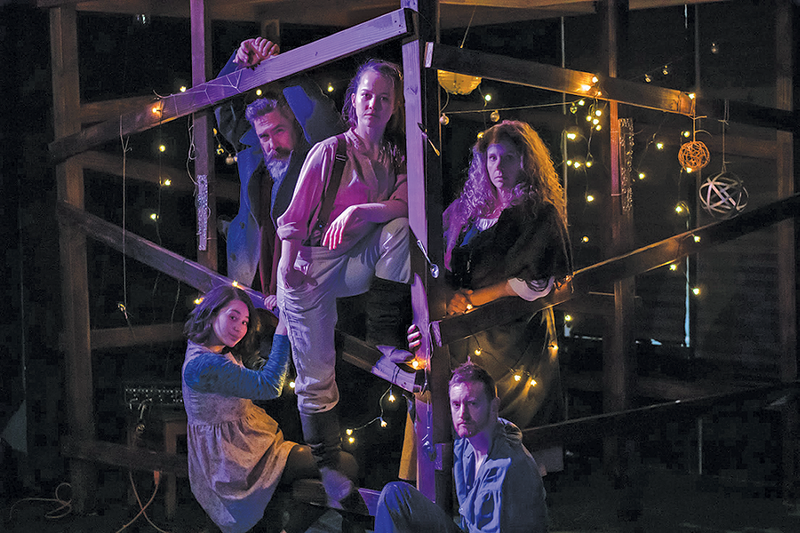 "The idea of a person caught between the Earth and the Moon was so intriguing for us to put on stage," producer Dave Mortensen says. Why this story, with its seemingly unpronounceable characters? "It's beautiful," playwright Morag Shepherd says. "We wanted to see how, and if, we could put it on its feet." The three-part hybrid combines Calvino's original text, dialogue written by Shepherd and original choreography from Ririe-Woodbury Dance Co. performer Breeanne Saxton. "The story is set out of time and space, which is a theme that we've picked up on. I tried to not incorporate any anachronism that would place us in any specific time and place," Shepherd says. "The author is ... taking scientific principles and making stories out of them. In this one, he's talking about the pull of the Moon. Consequently, we play a lot with attraction in all of its forms, gravity, and things being continually in motion, physically and mentally." Few things define the winter holiday season in Salt Lake City as do the lights hung up within and throughout downtown. As soon as the day threatens toward a more somber night during end-of-year months, the lights provide bright counterpoint. 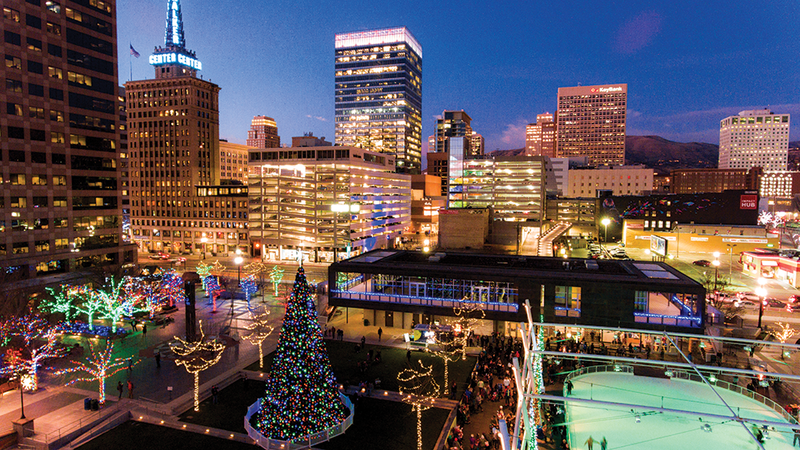 On Friday, Nov. 23, the Gallivan Center will turn on its lights at the annual Lights On! celebration. Featuring music by X96's DJ Jon Smith, face painting, the Silvermoon Taqueria food truck, Santa and ice skating performances from American Ice Theater, the event is far more than a light show. It also features a donation drive benefitting The Utah Refugee Coalition. Toothpaste, toothbrushes, bars of soap, deodorant, feminine hygiene products, razors, toilet paper and reusable shopping products are all appreciated. The lights, though, are the show-stealers. Although they're clearly visible, the extensive labor that goes into making them magical is far less so. "The holiday lights around the Gallivan Center are admired by many throughout the winter season, but people may not realize just how much hard work our maintenance team actually puts in," Amy Nilsson, SLC Events Manager, says. Life presents very few opportunities where a large group of people tells you, "Please come join us." Even more rare, and precious, is when that group adds, "No really. We don't care if you're actually good at what we're trying to do." Such is the opportunity for anyone who enjoys singing when the Utah Symphony presents its Messiah Sing-In on Nov. 24 and 25 at Abravanel Hall. This annual event on Thanksgiving weekend has become an important part of kicking off the holiday season in downtown Salt Lake City. The instructions for how to enjoy this performance of Handel's masterwork are pretty straightforward. 1. Show up with your vocal chords ready and a Messiah score in hand. Don't have one? Download it on your phone or tablet—it's in the public domain, after all—or purchase a copy when you arrive at Abravanel Hall that night. 2. 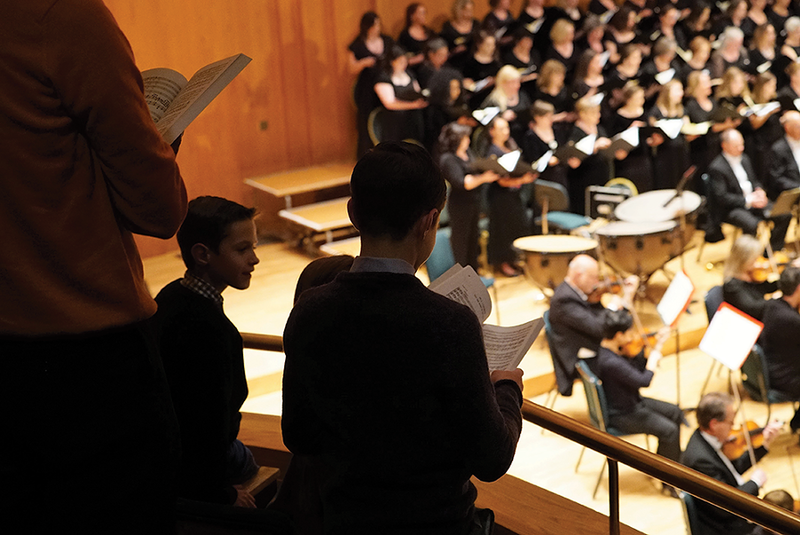 Decide if you want to sing soprano, alto, tenor or bass. 3. Let 'er rip! Besides you and a thousand other choir members, the Utah Symphony, Utah Symphony Chorus and four soloists from Utah Opera will be on hand to complete the performance. The soloists will perform some of the classic arias such as "Comfort Ye My People" and "O Thou That Tellest Good Tidings to Zion." With today's obvious hostility toward the media, and attempts by those in the upper tiers of government to marginalize the press while doing its duty, Bassem Youssef knows better than most the inherent risk to democracy that can occur as a result. Youssef—an Egyptian who began his career as a cardiac surgeon before initiating a makeshift broadcast on Facebook—eventually assumed the role of outspoken public commentator, speaking forcefully and fearlessly against his country's repressive government. Despite continuous harassment by the authorities and threats of arrest and physical harm, he continued to call out his country's leadership with intelligence, humor and satire, making him a genuine celebrity of sorts in the wider Arab world. As a result, his show AlBernameg became Egypt's most popular program of all time, attracting 30 million viewers a week. It's little wonder that Time Magazine included him in its list of the world's most influential individuals. Youssef also won support from his hero, Jon Stewart, with whom he's often compared. Stewart himself considers Youssef a true comrade-in-arms, describing him not only as a friend, but as a kindred spirit as well.